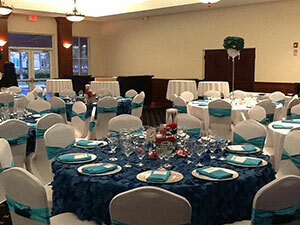 The Broward County PBA Banquet Hall is available for rental by reservation only. Please read the policies and procedures about the Hall that are outlined below. For additional information regarding prices and availability, please fill out the BCPBA Banquet Hall Inquiry Form by clicking on the button below or call us at (954) 584-7600. 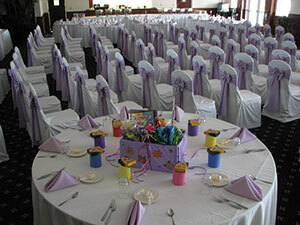 Please note that the Banquet Hall is not available for rental on Sundays. Smoking is not permitted inside the Hall or Boardroom. There is a designated smoking area outside the rear (west) doors on the patios. 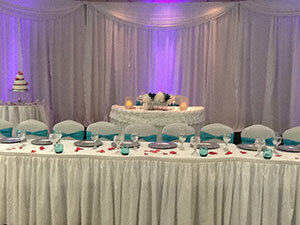 The PBA Banquet Hall has available 72-inch and 60-inch round tables, 96-inch and 72-inch rectangle tables, high top cocktail tables, cake tables and padded chairs. No outside tables or chairs are permitted in the Hall. A portable bar and two (2) electric beer coolers are available for use by the renter. No kegs are allowed in the facility. 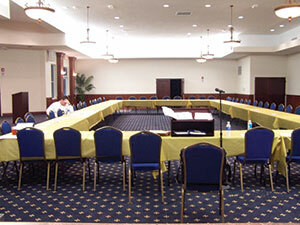 No food or alcoholic beverages are permitted in the Boardroom. There is a $2.00 per chair set-up and cleanup charge. A $250.00 security deposit is required to hold date with the balance due two (2) weeks prior to the event. 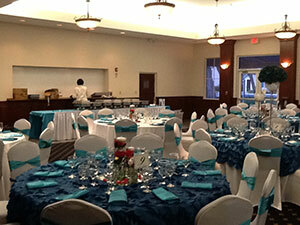 Cancellation of an event within two (2) weeks of the event date will result in a cancellation fee of $200.00. It is the obligation of the Renter/Catering Service to remove all decorations, as well as pick up trash and place in bins outside of the building on the southwest corner. 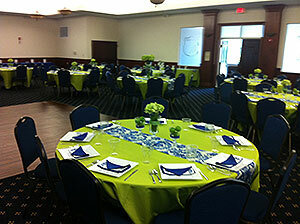 Hall garbage cans are available for the renter’s use, but must be emptied by the client/caterer. Nothing may be left overnight. A security deposit of $250.00 will hold the rental date. The security deposit will be returned to the renter in a timely manner upon final inspection of the property, whereas no damages or abuse is detected to the premises and no violation of the checklist has occurred. The BCPBA may require one (1) or more uniformed Broward Sheriff’s Deputies to be provided at the renter’s expense during the event hours. For more information, please call the police detail office at (954) 831-8199. No equipment and/or materials will be allowed to be leaned or placed against the walls or any painted surfaces. You must have prior written approval of the BCPBA prior to the hanging of any banners inside or outside of the Hall. 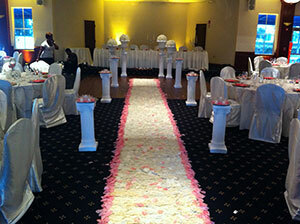 No nails, staples, tabs or glue are permitted to secure items to the walls, ceilings, or chandeliers. No confetti, rice, glitter or sequins will be allowed on the premise. No open flames, candles or floating candles are allowed. No alcoholic beverages will be permitted to be sold at an event. The BCPBA has bartenders upon request. 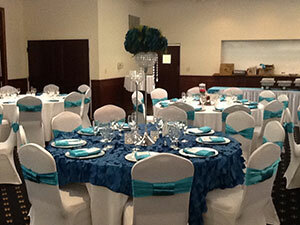 We are located just west of I-95 on the south side of State Road 84.